4633 Shenandoah DR in Eastern Jefferson County is a move-in ready cape cod home for sale with great curb appeal in Brooks Hickory Hollow. This was a great home. In fact it sold in less than 2 weeks. Call The Hollinden Team today and see how we can sell your home. If location is what you are looking for, this home could just the one. It is conveniently located off Chamberlain Lane between Westport Road and Hwy 22 near the Gene Snyder and Interstate 71. It is an easy commute to downtown Louisville or Oldham County. It is also located near many other sought after locations such as the Ford Truck Plant, The Paddock Shops, and Old Brownsboro Crossing where you’ll find Costco, Lowes and Cabelas. 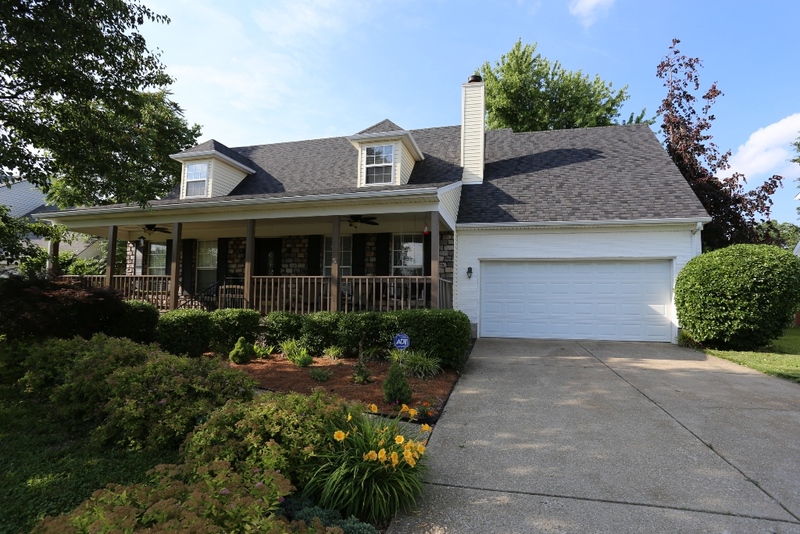 For those that need to be near a hospital, this home is near Kosair Childrens East and Norton Brownsboro Hospitals. Inside this lovely home for sale you will first be drawn to the tongue and groove vaulted ceiling in the great room. It is different, but really gives this home character. For those who have allergies, there is nice laminate flooring through the first floor. The master bedroom suite is off to the left side of the home with a tray ceiling and dentil-crown molding. In the kitchen you’ll find new countertops and laminate flooring. Upstairs there is plenty of room with two bedrooms, a sitting room and a bonus room that could serve any number of uses. The backyard has so much to offer. First off it is huge! It is fully fenced with a wooden privacy fence, thus allowing you to enjoy your sparkling above ground pool with a large deck surround. Loads of fun can be had back here from grilling to chilling. Another cool thing about this backyard is back behind the pine trees, there is a playhouse. Your children could use their imagination and have their own little adventures. If you don’t need a playhouse, it would be great for outdoor storage. 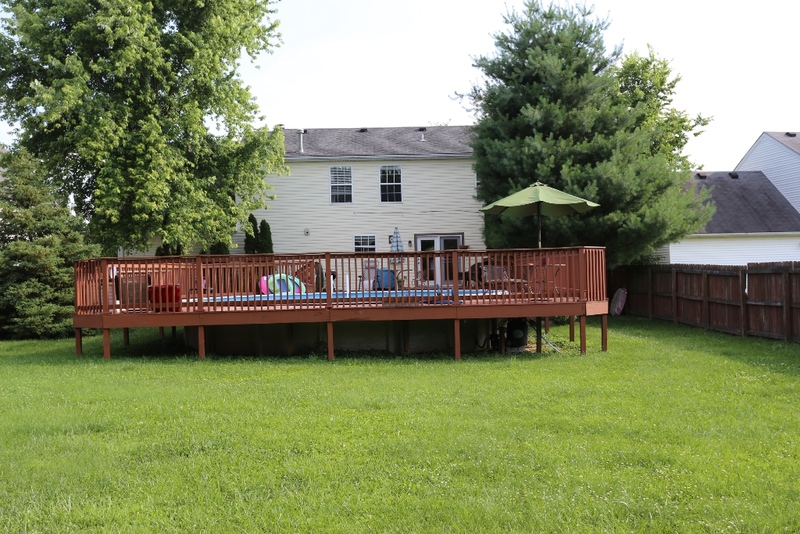 To see if 4633 Shenandoah Drive in Louisville is your next home, call Tim Hollinden with ReMax Champions at 502-429-3866 today, to schedule your private showing. You can also refer to this home as MLS#1392951. The Hollinden Team can also help you with other Brooks of Hickory Hollow homes or any other homes for sale.